Lacus Clyne (ラクス・クライン Rakusu Kurain?) is a fictional character from the Japanese science fiction anime television series Mobile Suit Gundam SEED and Mobile Suit Gundam SEED Destiny. She is a popular female vocalist and becomes the co-leader of the Clyne Faction. 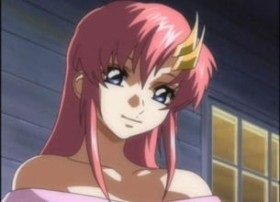 Lacus Clyne, in her first few appearances, originally appears to be naive and a bit of an airhead, but it is only due to her idealistic and pacifistic nature. Beneath the surface as a pop star and a PLANT idol, she is actually a quite deep and philosophical person, as she demonstrates when she delivers speeches throughout the series - mainly about the widening rift between Naturals and Coordinators, the ironies of calling for peace yet doing so with weapons in hand, and the real causes of war as being within the human heart itself. 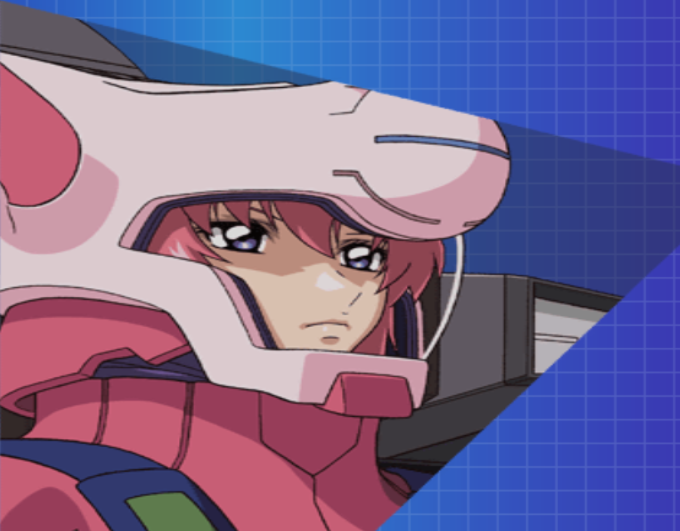 As the leader of the Clyne Faction (and later the Three Ships Alliance and Terminal), Lacus is very charismatic, strong-willed, and determined to see their fight for peace through to the end. Like her father, Siegel Clyne, Lacus wishes to see a world where Naturals and Coordinators would willingly work together and coexist in harmony, disregarding the notion that Coordinators are an evolved species. 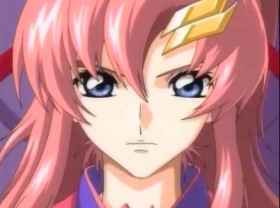 Being a pacifist, Lacus holds a strong dislike for war, expressing that they are simply started and repeated through a neverending cycle of attack and retaliation.